When I was growing up we enjoyed many of our family vacations at our beach house. My most cherished memories are of those days spent collecting seashells, playing in the pool and drinking coconut water right out of the coconut. At night we chased fireflies, went out with our flashlights to look for crabs or simply sat on the beach in complete darkness counting shooting stars. Shells collected at South Seas Island. 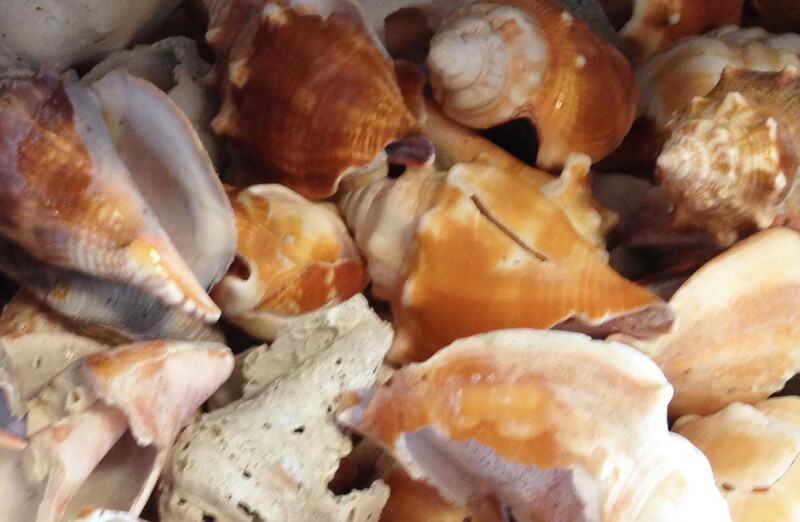 My love of shelling stems from those childhood summers I enjoyed with my family at the beach. Now I am passing that love for the ocean on to my children. Photo Paula Bendfeldt-Diaz. All Rights Reserved. Living in Florida there are so many options when it comes to family vacations and when summer arrives we usually make our rounds visiting all the man-made attractions. 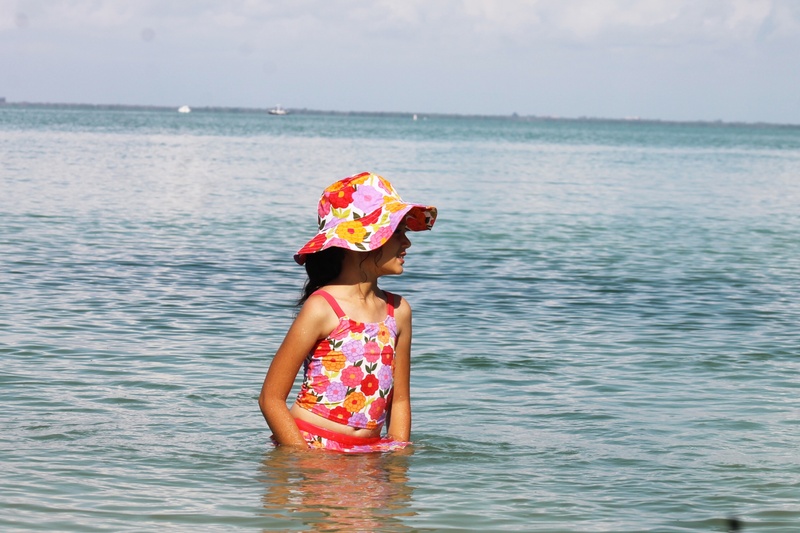 But as I found out on our recent trip to South Seas Island Resort in Captiva what was true for me is still true for my kids: the best memories are those made when you give your child the opportunity to explore and bond with nature. Enjoying the warm water of the gulf at South Seas Island Resort. Photo: Paula Bendfeldt-Diaz. All Rights Reserved. 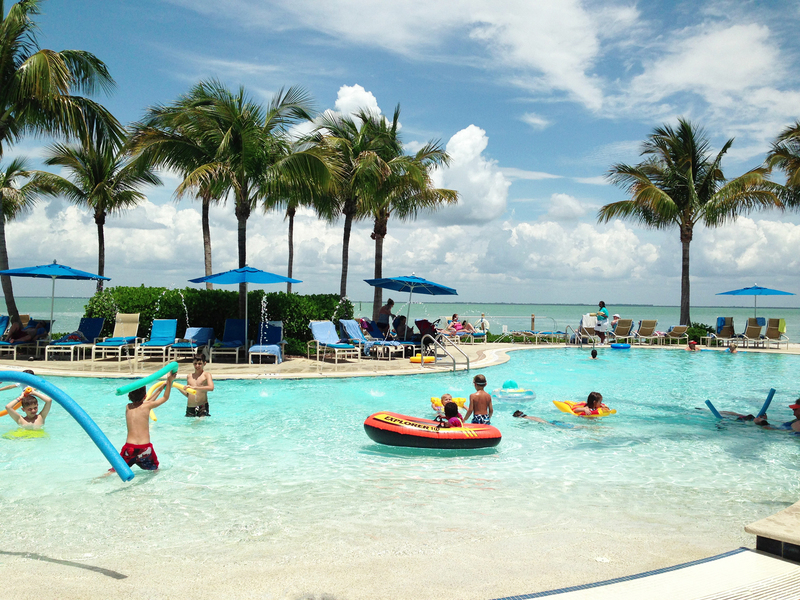 Located at the tip of Captiva island South Seas Island Resort is the ideal place to get away from the hustle and bustle of everyday life, no matter if you are coming from a large city up north or live in Fort Myers only 30 minutes away. 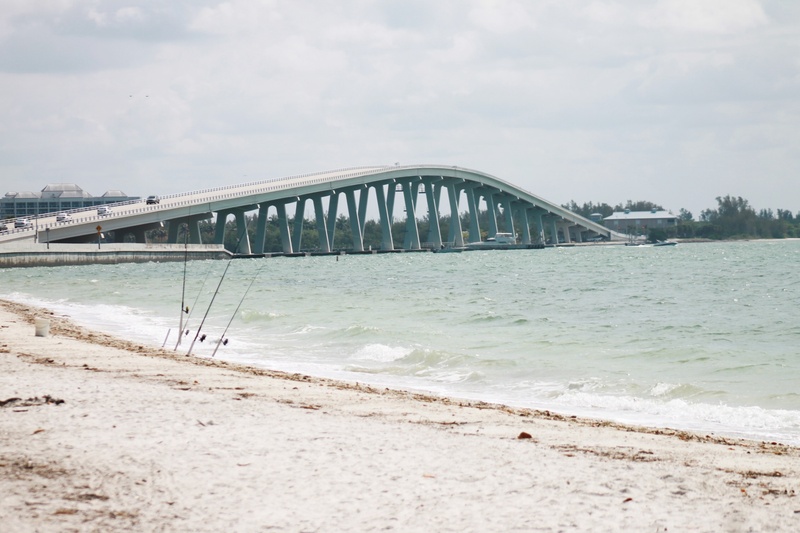 As we cross the Sanibel Causeway, a 3-mile stretch of concrete that connects Sanibel Island with mainland Florida, something changes. Surrounded by the blue waters of the San Carlos Bay, a pelican gliding peacefully so close to the car you can almost reach out the window and touch it; you feel as if you are going back in time. On the other side of the bridge everything seems to slow down, and I don’t mean the traffic going at the maximum speed limit of 25 miles an hour. Sanibel Causeway, the road to paradise. Photo Paula Bendfeldt-Diaz. All Rights Reserved. 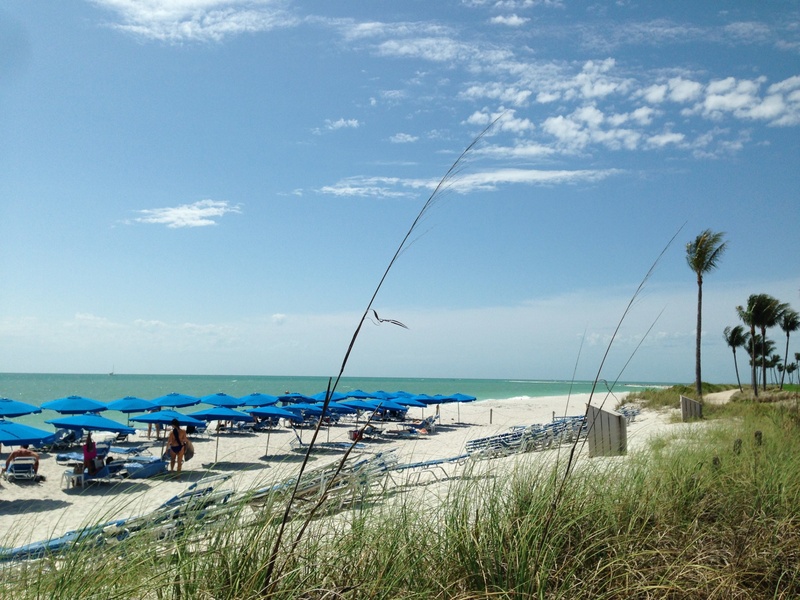 Captiva Island, one of four barrier islands located in Southwest Florida is nestled in the warm waters of the Gulf of Mexico. Sanibel and Captiva are endowed with a clear turquoise blue sea and soft sugar sand beaches covered in seashells and filled with flocks of marine birds instead of tourists. There are no fast food restaurants here, no big chain stores or big hotels and no traffic or streetlights. Land use restrictions guide growth and development ensuring that the special character of the islands is preserved. Blue heron. Photo: Paula Bendfeldt-Diaz. All Rights Reserved. As we drive on Periwinkle we pass mom-and-pop shops, local eateries and quaint little island stores and galleries. Periwinkle way links to Sanibel-Captiva road which crosses both islands, passing by most of Sanibel’s natural attractions, including the J.N. “Ding” Darling National Wildlife Refuge, the Sanibel-Captiva Conservation Foundation Center and the Bailey-Matthews Shell Museum. 12 miles after entering Sanibel we cross the short bridge at scenic Blind Pass reaching Captiva and at the end the road South Seas Island Resort. The resort occupies the last 2 and a half miles of the island, it used to be a key lime plantation and you can still get a sense of the old plantation charm as you enter and see the well manicured grounds. 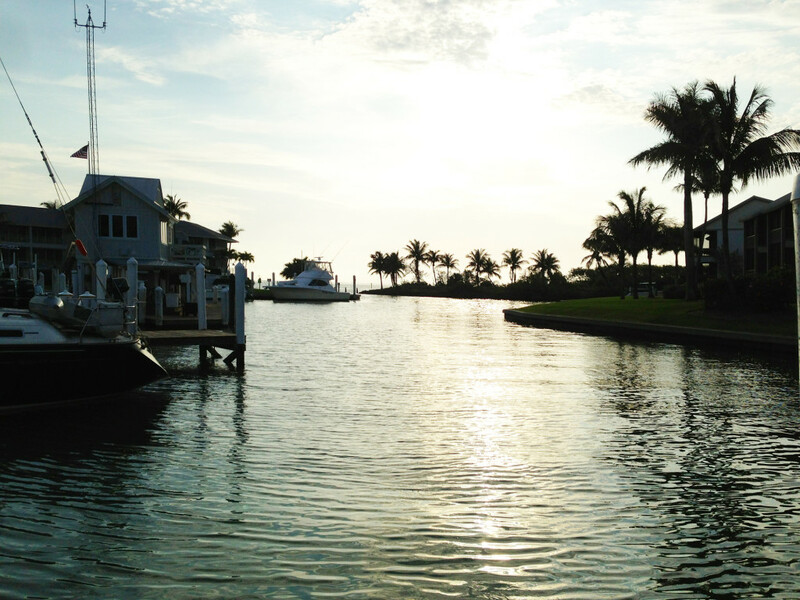 Sunrise at the marina in South Seas Island Resort. Photo: Paula Bendfeldt-Diaz. All Rights Reserved. South Seas Island Resort is a premier destination for weddings and as you look at the gorgeous beaches you can understand why. But what you might not know is that during the summer months most of the guests are families. Named number three on Parents Magazine’s Top Ten Best Beach Resorts for Families, South Seas Island Resort is filled with fun and exciting things to do for kids of all ages. 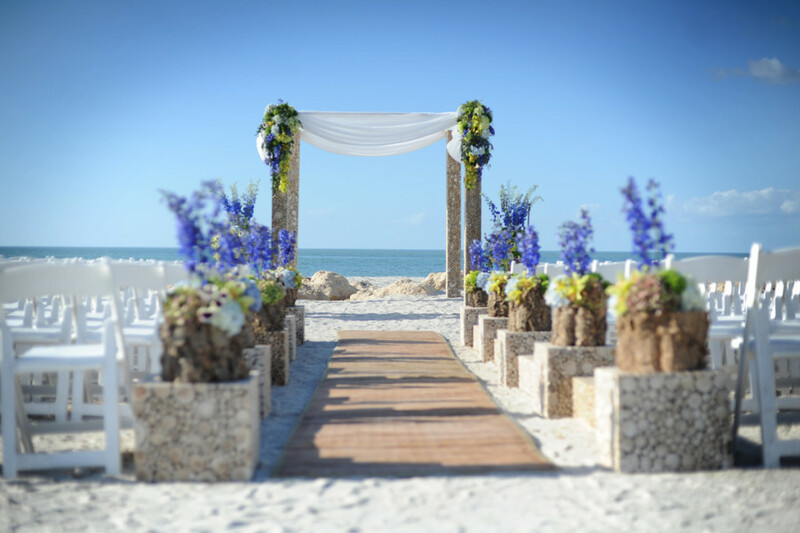 South Seas Island Resort is the perfect place for a dream wedding. Photo South Seas Island Resort. All Rights Reserved. As soon as we checked in my 5 year old spotted the Scout About program and grabbed the map which shows 15 different points of discovery throughout the resort. At each point the kids can grab a different colored band. This is a great way to explore and discover all that South Seas Island Resort has to offer from the gorgeous ocean views on Sunset Beach and the osprey nest on the gulf course to the manatee family that likes to hang out at the marina. We got to see so many things we would have missed otherwise and the kids loved the scavenger hunt adventure. At one of the discovery points of the Scout About program at South Seas Island Resort. Photo: Paula Bendfeldt-Diaz. All Rights Reserved. After lunch the kids spent an fun and exciting afternoon at the H2Whoa! water park. 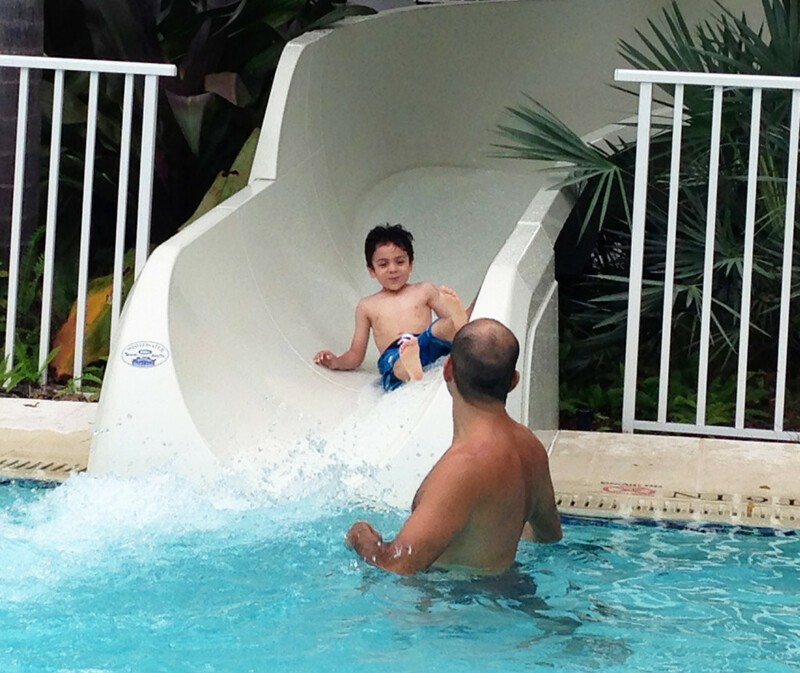 Two thrilling slides propel you to the deep end of the pool from a 16-foot tower. Younger kids can enjoy the shallow end of the pool, which has a zero point entry. The adults can join in the fun or choose to lounge in one of the beach chairs under the shade of bright blue umbrellas. For dinner we visited the Harborside Bar & Grill for a delectable meal, we enjoyed delicious fresh seafood with a view of the marina. They have a children’s area where kids can entertain themselves with coloring books if they are getting restless at the table. Having the best of times at the H2Whoa! Water Park in South Seas Island Resort. Photo: Paula Bendfeldt-Diaz. All Rights Reserved. Next morning we took the children to the Sanibel Sea School for the day. My kids had the time of their life learning about the ocean, canoeing and exploring the sea grass beds in search for marine life. 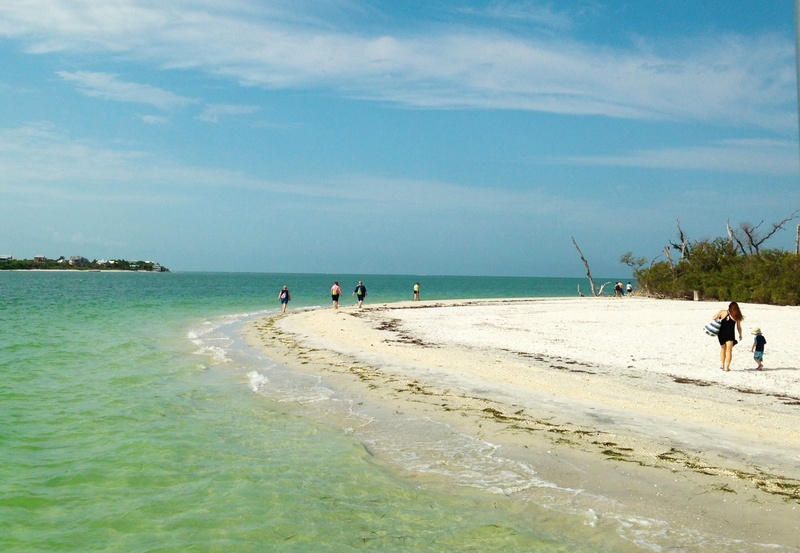 The Sanibel Sea School has half and full day programs and it’s the perfect option if you want to enjoy some adult time. I have to admit I felt a little guilty taking off without my children but they loved every minute of it and when I came to pick them up they didn’t want to leave. 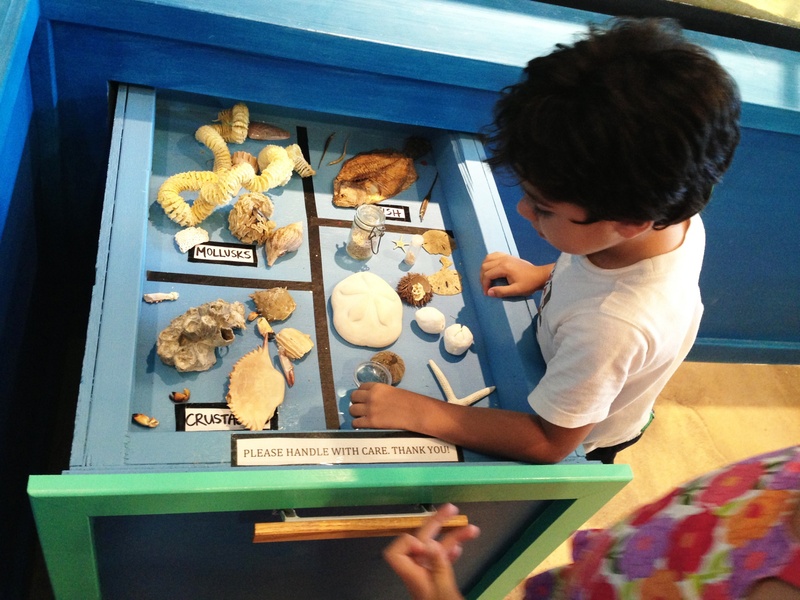 Observing different specimens of mollusks and other sea creatures at Sanibel Sea School. Photo: Paula Bendfeldt-Diaz. All Rights Reserved. 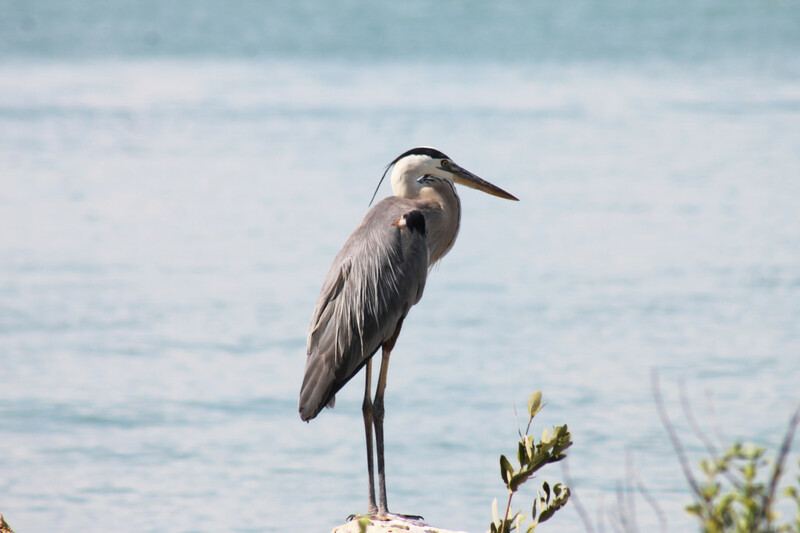 While the kids learned and explored at Sanibel Sea School my husband and I took a boat through Captiva Cruises to the Cayo Costa, a nearby island that can only be reached by boat, and had a wonderful morning exploring the idyllic beaches, shelling and photographing birds. This would also be a wonderful trip to make with the kids . Cayo Costa, a short boat ride away from South Seas Island Resort is an island that can only be reached by boat. Photo: Paula Bendfeldt-Diaz. All Rights Reserved. After the cruise I enjoyed the best massage I’ve ever had at the Kay Casperson Spa, I left the spa in a state of complete relaxation and bliss, energized and ready to enjoy the rest of the afternoon with the kids. 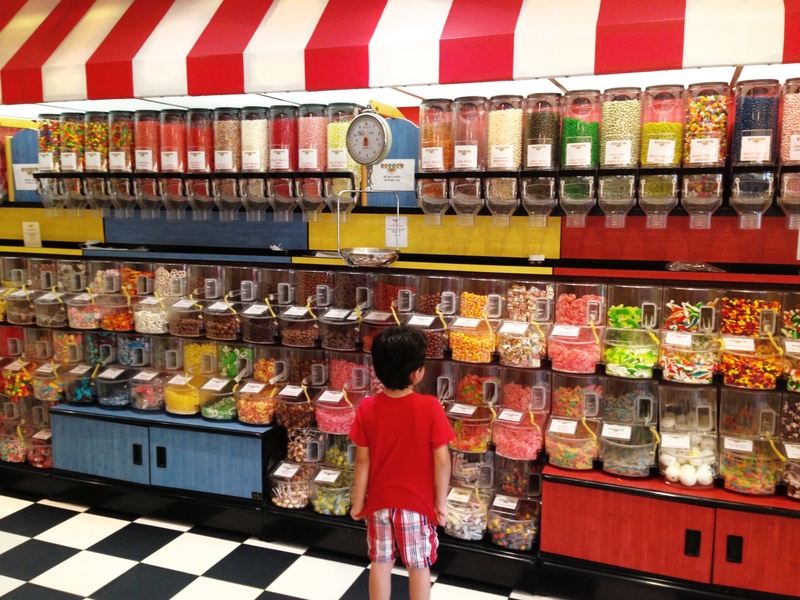 We had dinner that night at Scoops & Slices, the 50’s family friendly ambiance paired with great pizza, sprinkled covered ice cream and the famous wall of candy; kiddie heaven. The wall of candy at Scoops & Slices. Photo: Paula Bendfeldt-Diaz. All Rights Reserved. After dinner we headed to Sunset Beach where my 5 year old was part of the entertainment during the Sunset Celebration which takes place every evening as the sun sinks into the ocean. 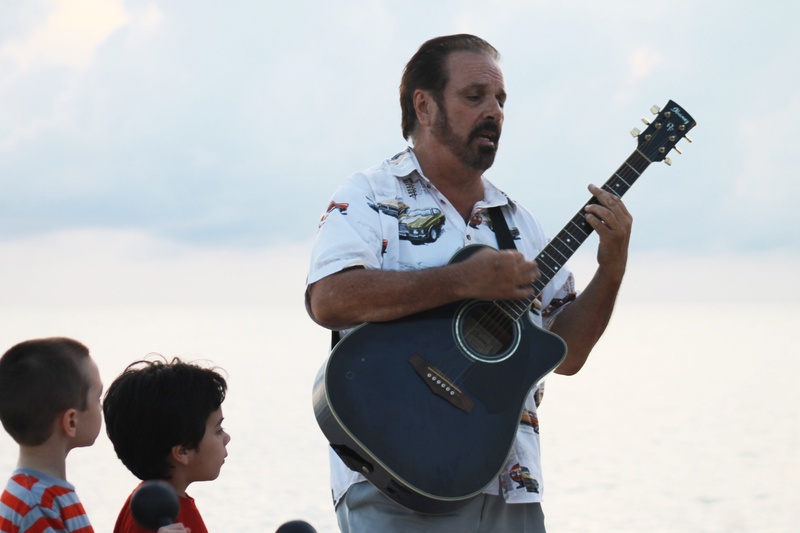 Then all the kids accompanied the singer to the shore line where they performed the Wish Upon a Seashell Ceremony, throwing seashells into the ocean and making a wish just before the sun went down. In the distance you could see dolphins, it was a truly magical evening. The Sunset Celebration and Wish Upon a Seashell Ceremony at Sunset Beach. Photo: Paula Bendfeldt-Diaz. All Rights Reserved. On our last day at South Seas we visited Scully’s Interactive Center where we all enjoyed a game of mini golf. Then the kids played a couple of games on the arcade , met Scully the parrot and joined other children there making a bracelet. 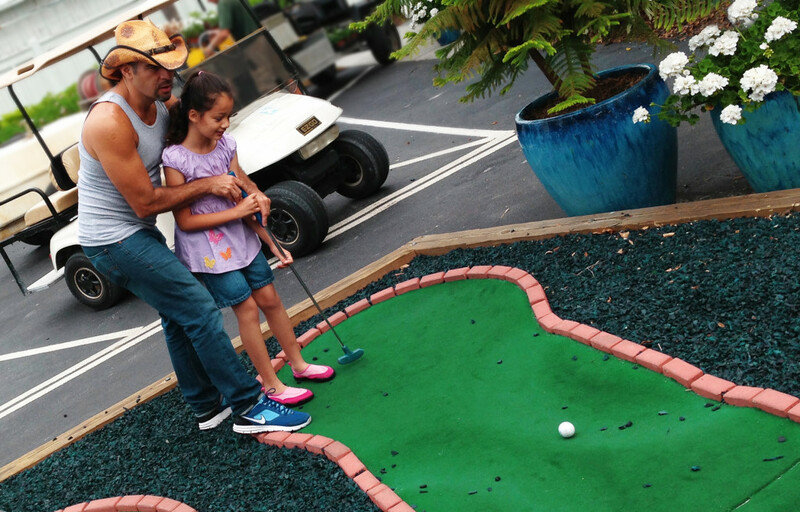 My daughter learning to play mini golf with Daddy. Photo: Paula Bendfeldt-Diaz. All Rights Reserved. As the sky became overcast we headed to the kiddie pool at the Point. It was raining softly but that didn’t stop us from having a great time splashing around and playing in the pool with the beautiful view of Pine Island sound in the background. As the skies got more overcast we finally headed back to the room and checked out. 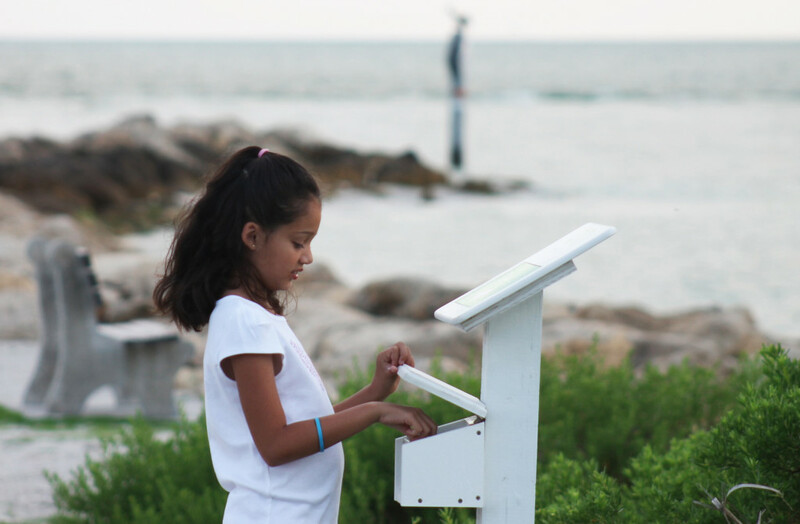 The kids wanted to stay and kept asking when we would be back, we all had a hard time leaving and as we drove across the Sanibel Causeway I turned back to see both of my kids fast asleep, a faint smile on their peaceful and sun kissed faces. The kiddie pool at The Point with Pine Island Sound in the background. Photo: Paula Bendfeldt-Diaz. All Rights Reserved. Far from the packaged entertainment provided by theme parks, vacationing in South Seas takes you back to what a real vacation ought to be: relaxation, tranquility and the opportunity to explore and to share with your loved ones in an environment that is filled with Captiva’s entrancing natural beauty. This is the perfect place to come with your family to bond not only with each other but also with nature. Sunset Beach at South Seas Island Resort. Photo: Paula Bendfeldt-Diaz. All Rights Reserved. In May and early summer Harborside Marina View Guestrooms start at just under $200 per night for Florida residents and sleep up to four. Starting at $220 you can get a one bedroom Villa that includes a full kitchen, great for preparing some of the meals and saving some money. 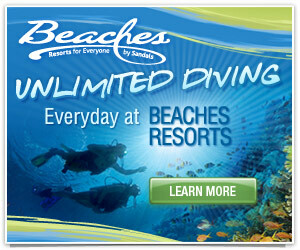 To find the best rates and book your vacation visit southseas.com. 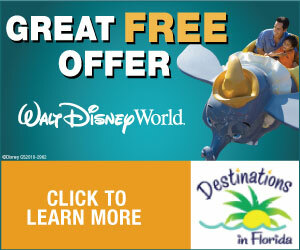 By booking the Summer Escape Package for travel between May 1, 2013 and September 29, 2013 guests can get $50 or more resort credit and kids eat free breakfast! Check out the offer details HERE. 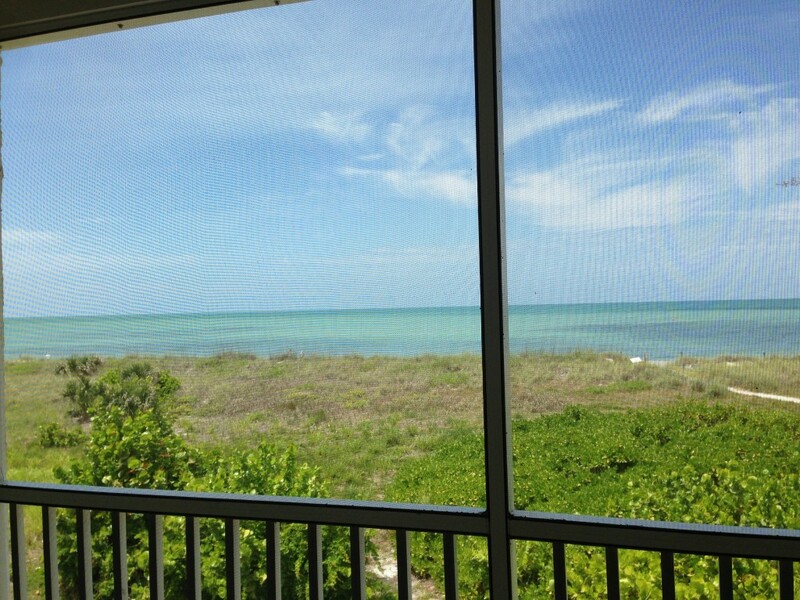 View from the screened porch of our Beach Villa. Photo: Paula Bendfeldt-Diaz. All Rights Reserved. You can visit South Seas Island Resort’s website for more information. Like them on Facebook and follow them on twitter @SSIslandResort to stay informed of new offers. Disclosure: I visited the South Seas Island Resort as part of a press trip and the accommodations, meals and activities where complimentary. However I have been to South Seas Island Resort before and my review is based on all of my experiences at the resort. The opinions expressed here are sincere and are my own. What a wonderful place to vacation. It appears that it has just about everything for everyone in the family. A “Sea School” also, that is amazing. Florida has such beautiful beaches. I will keep this place in mind next time we visit Florida. Thanks Jheylo, we did have a wonderful time. Wow!! What a wonderful trip you got to enjoy. It sounds and looks amazing!! It was really unforgettable Lois, thanks for commenting. It’s really worth visiting. It’s one of my favorite places in the world for sure. Lovely photos! I feel like I was there with you. The pictures are beautiful. I love the atmosphere of taking it slow. Looks like a bit of paradise. Thanks Allyson. It really does feel like paradise and we felt like it was a real vacation where we got to relax and disconnect from it all. This place sounds wonderful! Glad to hear about all the different options for things to do with the kids – that’s really important to keep them occupied and entertained! Thanks for the great post! how FUN !! I love this article ! I’ve never been to Florida! Thanks for all the ideas! I have a good resource to check out for ideas when I eventually visit! Wow this place looks amazing!!!!! Paula: that is a beautiful place. So peaceful! Loved the pictures. When I visit Florida, I will give you a call to request a tour! Sounds like a great vacation! I’ve been working hard, so I need something like this! My family and I enjoy camping and exploring different beaches. This will be one of our destination this summer. Looks like a beautiful place. Thanks for sharing. what a beautiful place. Need to start planning a vacation! wowwww beautiful ! It looks like paradise! What a wonderful place to vacation with the Family! I had no idea that we had such an amazing place literally in our back yard! Hermoso lugar! tengo que visitarlo! Si que disfrutaron! Wow! It looks like a paradise. It’s a paradise!!! It’s the right place for adults and kids. The pictures are amazing. Lovely place.. The picture are great.. I used to live in Florida, a long time ago, I see those images and I remember when my children were little. thanks for sharing. Great vacation! Would love to visit that resort! Wow, the view from your screen porch is stunning. I would love to sleep and hear the ocean waves crashing. This looks beautiful!!! Living in Florida sure does have it’s benefits for vacations. I will be looking into this for sure. That is an awesome wall of candy. It looks gorgeous out there. What a lovely place to visit with the ocean as your backyard. It looks beautiful here. I have to start planning a summer vacation for my family. This is definitely going on the option list. I totally miss living in FL after seeing your pictures. Ok, I need to be there – now! We’re always at the beach in NJ, but uhm, I don’t think NJ can compare to that. Just look at those shells! The pictures are so beautiful. We want to go back to Florida on vacation and I have been looking for a place to visit. I will have to keep this in mind.. Thank you for sharing this wonderful post. Thank you for the great summary of South Seas. I’m not sure we could have said it better ourselves. For those of you that would like more information on South Seas Island Resort, you can reach out to us on Twitter or Instagram @SSIslandResort, facebook.com/southseasresortvillage, or call our local number, 239-472-5111 and ask to speak with Melissa Fuentes, our on-site reservation specialist. I hope you all have a great summer (that includes a few nights out here in Captiva). Looks like a beautiful place to visit. Maybe someday! TFS! We are planning a Florida Vacation for next year, this review just gave me our top destination choice. We have it narrowed down to three at this point, but the other two we have already visited, I think it’s time for a new place, this sounds perfect.